Tennis Talk-Radio & Pod Casts with the Pros!! Welcome to the all new, KickServeRadio.com, Tennis on Air, with Andy Zodin. On KickServeRadio.com, we’ll be bringing you everything tennis, from juniors to the pros, including the hottest stories, interviews, instruction, and info that you need to know. You’ll hear from many of the greats in tennis, and other sports as well, as KickServeRadio is designed for not just the tennis junkie, but sports fans in general. Thank you for tuning in, and supporting KickServeRadio.com. We’re interested in your feedback, so email Andy.Zodin@RacketStar.com and tell us what you’d like to hear. We’ll do our best to get done!! If you haven’t heard about this by now, you’re one of the few, as it’s gone viral. 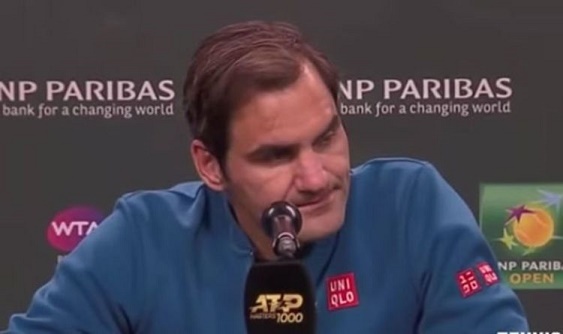 But here is a 2-Minute Tennis Zone version of my rather bonehead moment with Roger Federer at Indian Wells. RF was actually very cool and playful about it, but it still left me about 14 shades of red! ATP doubles specialist, Neal Skupski joins AZ to chat about (among other things) a real nice W in the Arizona desert, that required some serious poise under pressure! Neal’s recent win at The Arizona Tennis Classic (with Jamie Murray) was certainly impressive, I believe his 31st as a pro. Today, this very chill Brit chats with AZ about that win, a few brothers vs brothers matchups with the Bryans, and life on tour as a doubles specialist. Neal Skupski and Jamie Murray got it done in the desert, and it was a lot of fun, but it was far from easy! 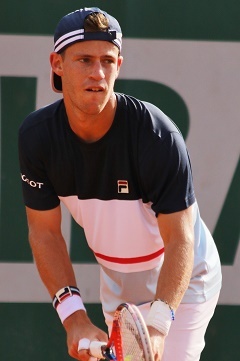 Brad Gilbert is pretty confident that Jonny Levine’s ARIZONA TENNIS CLASSIC is going to showcase some amazing talent, at a spectacular venue in Phoenix, in mid-March! BG is happy to see his buddy, Jonny Levine taking on the task of bringing pro tennis to the Phoenix Country Club, March 11-16. Today with AZ, they chat about a loaded field in the Arizona Tennis Classic, and touch on a few other topics that tennis fans, and sports fans are sure to enjoy! 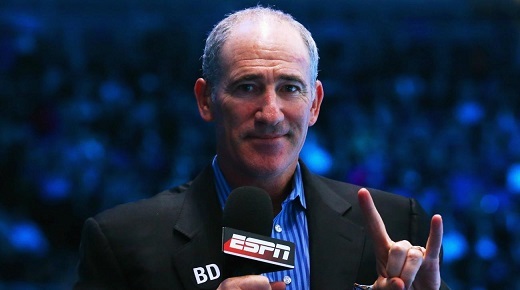 ESPN's Brad Gilbert is pretty excited to see pro tennis coming back to Phoenix, Arizona!! Joel Drucker has some typically thought provoking comments on what coaching in tennis truly is….and is NOT! 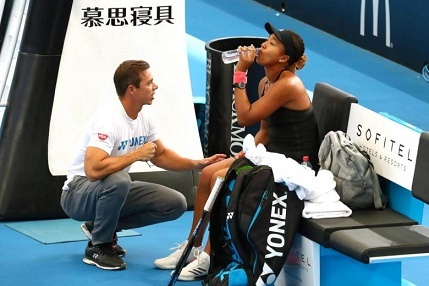 Never shy about his opinions on the sport he covers professionally, fame journalist Joel Drucker has a few choice ideas about the true role of a coach in today’s fast-moving world of tennis, professional and amateur! The inaugural ARIZONA TENNIS CLASSIC has tennis fans in the southwest very excited! Jonny Levine joins AZ to talk about the new add to pro tennis’ March Madness calendar! A former ATP player in his own right, Jonny Levine is thrilled to bring THE ARIZONA TENNIS CLASSIC to the Phoenix Country Club, March 11-16. Jonny joins us on KickServeRadio to tell us why this event is perfectly sandwiched between Indian Wells and Miami, and why YOU should check it out! Jonny Levine is bringing men's pro tennis back to his home town of Phoenix, Arizona! So…what’s YOUR UTR? In fact…what IS UTR? Well, it’s the Universal Tennis Rating System, and Stephen Amritraj joins AZ to tell you how it works, and why it’s hot. Stephen Amritraj is a member of one of the most prominent and respected tennis families in our sport’s history, and he is part of the team that has the Universal Tennis Rating System in position to change the game for the years to come!! He joins KSR to give us the lowdown on the how and the why. 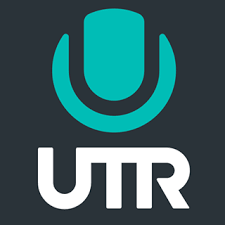 Want to know more about the UTR? Of course you do! Indian Wells Garden will play host to the USA Pickleball National Championships, presented by Margaritaville! When Margaritaville is the title sponsor for your tournament, you know you’re going to have some serious fun! That’s probably why Marcin Rozpedski, and over 2500 entrants are so excited about the USA Pickleball National Championships, coming to the desert’s premier venue, Nov 3rd-11th. 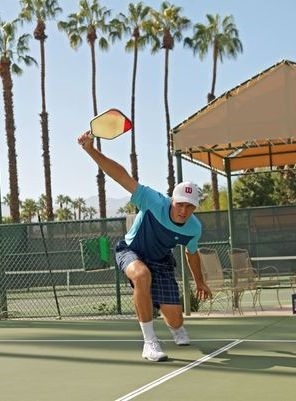 Marcin Rozpedski is a US Open Pickleball Champion, and Sports Director at The Lakes CC in Palm Desert, CA. He's got the goods on the USA Pickleball National Championships, being played at Indian Wells, November 3rd-11th, brought to you by Margaritaville. FILA’s International Marketing Director of Tennis, Lauren Mallon joins AZ to talk about FILA’s new and exciting line, and some of the great pros that represent them. FILA’s Lauren Mallon appears on KSR to inform the tennis world about how exciting their latest lines are, not to mention the success of the players on tour that wear FILA. It’s truly a classic, traditional, yet very current international brand, and those of us (myself included) in the industry, should be very pleased at what they are doing to help grow our sport, and keep it fashion forward. Thanks to Matt Van Tuinen for arranging this very special visit. FILA's new styles blend a traditional/classic look, with cutting edge, high-tech performance. Upon winning the Mixed Doubles crown at the 2018 US Open, Bethanie Mattek Sands joins AZ for one of the most fun segments we’ve ever done on KSR! It’s always nice to win a major championship in professional tennis, they never come easy. But winning one after an excruciating knee injury, followed by 15 months of rehab is indescribable! Today with Bethanie Mattek Sands, we talk about THAT, and a whole lot more!! Like Sock & Bryan…Djoker, Roger, and Rafa…Serena & Naomi, too! BMS runs the table….in high-energy, America’s Sweetheart fashion! Bethanie wins the mixed at the US Open, and needless to say...she's pretty damn happy!! Longhorn Tennis legend Gary Plock is going into the Texas Sports Hall of Honor, and former teammate Steve Denton joins AZ in paying GP a well-deserved tribute! 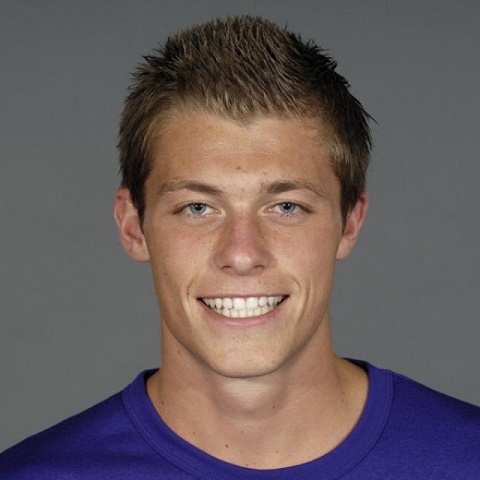 He was just a country boy from Louisville, Ky that came to Texas (UT, that is) to play a little college tennis. 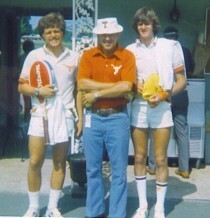 He would go on to play the #1 singles spot for 4 years, lead his Longhorns to a Southwest Conference championship in ’77, and take out Johnny Mac in the NCAA doubles in ’78. Now…he takes his rightful place among the UT elite, as he is inducted into the 2018 class of the University of Texas Sports, Hall of Honor. Teammate Steve Denton has plenty to say about why this is so well-deserved. Congrats to GARY PLOCK on his 2018 induction into the University of Texas Sports, Hall of Honor!